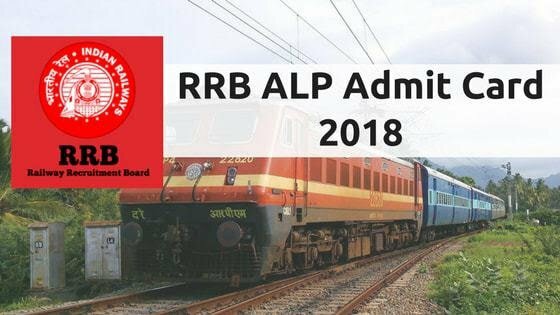 RRB ALP Admit card 2018: Railway Recruitment Board will be released group c admit card/ hall ticket/call letter on 5th August 2018 for RRB ALP(Loco Pilot) recruitment. Railway ALP(Loco Pilot) Exam will be started from 09 August 2018. Railway Board has been released RRB ALP exam date, RRB Loco Pilot exam city & ALP exam shift timing. RRB Loco Pilot (ALP) Admit Card will be issued only to those candidates who have successfully submitted. We are providing information regarding the download Admit Card for RRB ALP Exam. Search for RRB ALP Admit Card 2018. Click on the link “CEN 01/2018 Admit Card” and read all the instructions carefully. Take the print out of RRB Admit cardand keep it safe till the completion of the recruitment process. An admit card is considered to be the most important document from the examination point of view. Candidates must download rrb admit card for the entry at the examination center. Thank you very much for your valuable feedback. How to Create PhonePe merchant account or PhonePe Business Account ?